Simon is a VP of innovation for a large equipment manufacturer supplying the rail sector and is charged with building new momentum into the product pipeline in the next 7 years. But the link between new technologies and the commercial gains are unclear. Gillian is a commercial director in a growth SME in the chemicals sector and is seeking new growth options, new chemical technologies and applications. Being able to clearly articulate the commercial gains with R&D programmes will help create buy-in from the board. Ana runs a national innovation centre looking into new composite materials. To engage existing and potentially new users of the centre she needs to describe the vision and opportunities to boost new signings and realise the potential of materials. Marshall runs a national government agency responsible for stimulation of innovation, jobs and productivity growth. He needs to work out where the best return on investment can be made and which are the right projects to fund. LINK. Companies are frequently looking for growth, innovation and productivity gains to enhance their prospects over the longer term. Unfortunately, more strategy fails than succeeds; according to Paul Leinwand in Harvard Business Review  over 90% of strategy fails to some or a great extent because of poor analysis, insufficient belief and a failure to execute. Also, governments are constantly looking for new ways to make effective use of public funds in order to stimulate the growth, jobs, and productivity agenda. With more technologies and continually evolving societal demands, it’s tough to be sure where to invest. Can we as business, innovation and policy leaders do better? Pioneered by Motorola in the 1980s and Lucent in the 1990s strategic Roadmapping is a powerful solution to these challenges. Whether it be developing a product technology pipeline, or a national innovation strategy, or an industrial sector technology plan, roadmapping as an effective choice. Since then, the Institute of Manufacturing at Cambridge University as massively developed and improved the art and science of roadmapping and conducted over 200 strategic roadmaps for companies and government agencies. Here is the case of BASF. 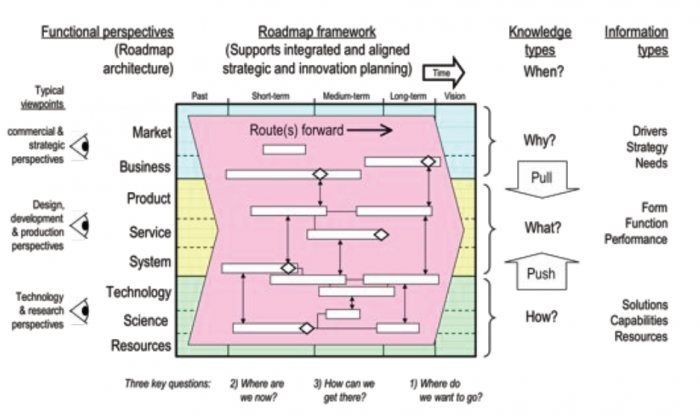 While roadmapping is a process of strategy development, the roadmap is the output which takes to form of a highly visual connected graphic. But this simplicity in the outcome underplays its rigour in development. A roadmap seeks to make explicit the key information and organizes that information in a highly structured way. The external perspective: what are the trends and drivers affective our markets? The Internal perspective, what are the technologies, projects and resources we need to deliver new products and services? And showing how we can Know Why, Know What, know How and When we need to deliver. Strategic Roadmapping is a powerful strategy tool for a number of reasons. First, the process of roadmapping brings together all the current knowledge, people and needs and assembles it into the product we call the strategic roadmap. Second, the product is of course important because it represents the plan the company needs to execute – already, we’re dealing with that problem of strategy failing. But a second, perhaps more important outcome, is the engagement of the people involved. Bringing technical, operational and commercial functions together to co-create the strategy is part of the strategy-planning challenge. Roadmapping workshops are highly social ways that engages the brain and the heart which can be highly motivating. There are important psychological reasons behind why strategic roadmapping works and these are behind the increased “stickiness” of the roadmap ; it’s not just dry strategy and analysis. Third, building strategic planning capability is a core skill and in rapidly changing world where the volume of data increases every 18 months and more technologies are available than ever we must ensure that precious resources are deployed on doing the right projects. Clearly, a very important output from roadmapping, is the roadmap itself. Roadmaps come in different forms depending on what it needs to do. For a product-technology plan the map will show the key elements and the linkages between them. The roadmapping sponsor may also choose to produce a simplified graphic for wider communication. In the case of a sector or regional map, there may be more graphical design, almost pictorial. A second result is enhanced engagement and better strategy with greater longevity. And better strategy links directly to better business results right at the bottom line. Twice as many companies in the best performing categories use tools like roadmapping . By the design of the roadmapping process, we get more and better options for using new technologies. The process is not an easy ride – it is very much designed to challenge and ultimately get better results. But also it focusses idea generation on real and tangible opportunities. With correct preparation in the weeks leading up, a Roadmap can be produced in a few days. Makes complex issues easy to understand and communicate. For our national innovation centre, we could help Ana design an effective strategic technology roadmapping process that brings together scientists and engineers with commercial representative from her company members. With solid preparation, we scope out the objective and set the exam question and homework for workshop attendees in the 6 weeks in the run up to the one day workshop. At the workshop a skilled facilitator leads the activities for the day by inviting delegates to share their knowledge and experience. Since roadmapping is a highly visual and dynamic process, the delegates are able to get hands-on, co-creating the options that show where new products and technologies come from and what projects and resources are needed to develop them. 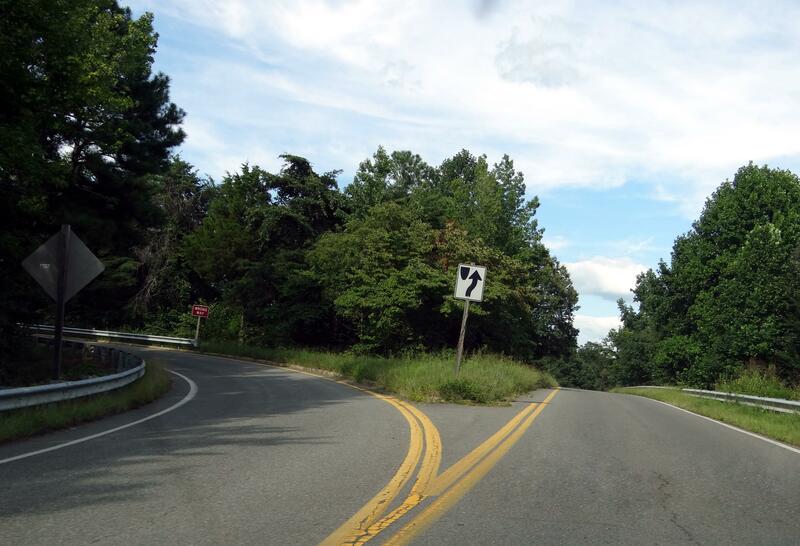 Do you need a Strategic Roadmap? Is the pace of innovation and technology development increasing, creating a danger of being left behind? Do you know where and when the new products will flow out into the market and are they backed up by technology acquisition? Is the R&D well-aligned to your commercial objectives, or does it need better coordination? Do you struggle to get buy-in and alignment in the company to new innovation activities? Is your innovation strategy complete, or in need of a refresh? In the last 15 years, IfM ECS had carried out more than 250 roadmapping projects for a wide range of companies, industry sectors and government agencies.